Properly drained pasta is light and smooth, with no excess starch. Knowing how to drain pasta properly is a basic kitchen skill which will enable cooks to create beautiful and flavorful dishes for family members and guests. 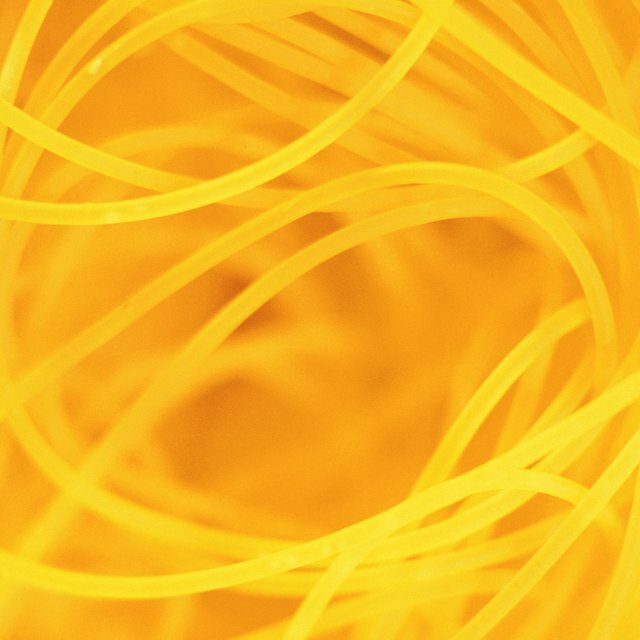 Draining pasta improperly can lead to dry and sticky or slimy and tasteless results. Serving restaurant-quality pasta dinners at home takes a small amount of time and patience and a little knowledge and skill, but will allow you to serve beautiful and delicious meals to family members and guests. Place a footed colander into a dry, clean sink. Remove boiling pasta from the stove just before it is finished cooking the way you prefer. Pasta will continue cooking after removal from heat, and waiting too long to drain will cause overcooking. Pour the contents of the pot slowly into the colander. Lift the colander and shake lightly. Allow it to stand until visible water has drained from the colander. Toss the pasta with sauce immediately. The pasta must still be slightly damp in order for the sauce to properly cling to it. It is important to use a footed colander to ensure the water drains fully into the sink and the pasta is not sitting in the pasta water as it drains. Ensure that the water you are cooking pasta in is heavily salted for the best flavor. A few tablespoons of olive oil in the cooking water will keep drained pasta from sticking to itself. Follow package directions to ensure you are using the proper amount of water to cook your pasta. Too little water can lead to improper draining and starchy pasta. Use potholders or oven gloves to protect your hands while draining pasta. Keep your face away from the draining pasta to avoid steam burns. Do not rinse pasta unless it is going to be used in a cold pasta salad. I have taught classes in writing and ASL, but teaching crafting techniques has been my passion for many years. I have had one-on-one tutoring classes and have taught groups as large as 60 in various seminars. I consider myself an expert in a wide range of crafts, from soap-making and jewelry design to crochet and needlework, and my teaching experience gives me an edge when it comes to sharing knowledge in a friendly and understandable way.